For many years I have gone on Spiritual Retreat during the month of August. 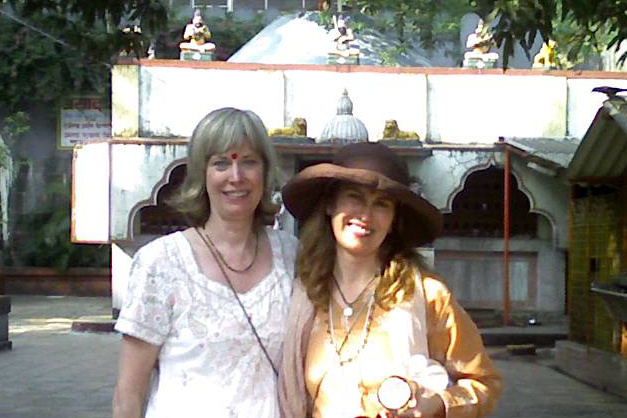 The photo above, taken at a sacred pilgrimage site in India with my roommate, coach and poet S’Marie Young, captures the radiant inner light that being on retreat unfailingly brings. This year, August is quite different. It’s a time of vigorous business advance and fierce (yes, I used the word fierce) commitment to stepping up to offer the wisdom I have nurtured. August is filled with timelines and action items. 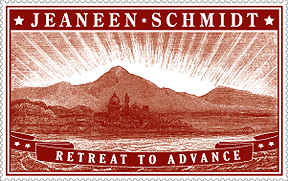 How do we bring the energy and lessons of retreat into a time of advance? One answer is cultivating the virtue of Patience. Patience with ourselves as we engage full out. Patience with outcomes and goals. Patience with emergence of creative insight. Patience as we allow things to unfold in a more magnificent way than we are able to foresee and faith that this will indeed happen. Deep faith that there is enough time. The physical embodiment of Patience requires breathing deeply and allowing time to become comfortable before proceeding with any action. That is the essence of the Retreat to Advance stamp imagery below. Performing the actions that make us available for the sunrise, patiently waiting with full faith and then, when it does rise, drinking in its beauty.